The perfect home espresso grinder for use with our best espresso machines, the Fiorenzato F4E Nano offers stepless grind adjustment and electronic programmable dosing. Quiet and clump free grinding. Fast, duarable, uniform and consistent. This is my fifth or sixth espresso grinder and it is by far the best. It is quiet and it is precise. 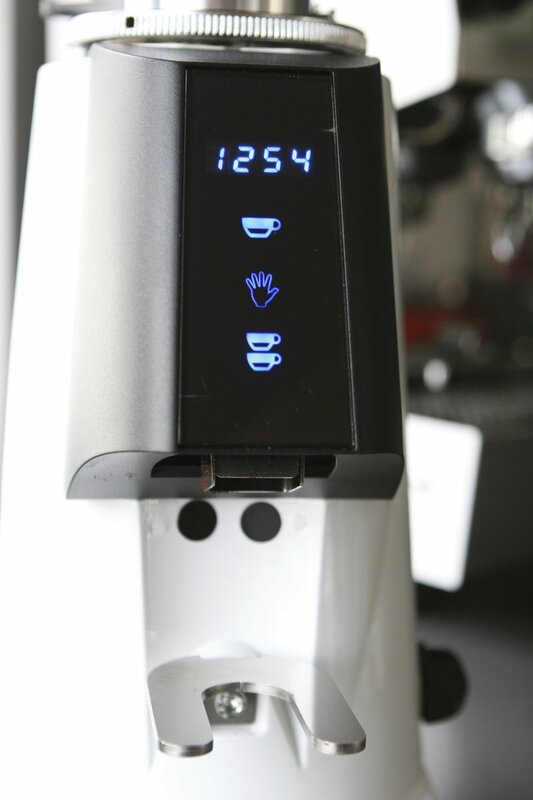 I like the stepless adjustment feature and the programmable timer. It is also well built and handsome to look at.